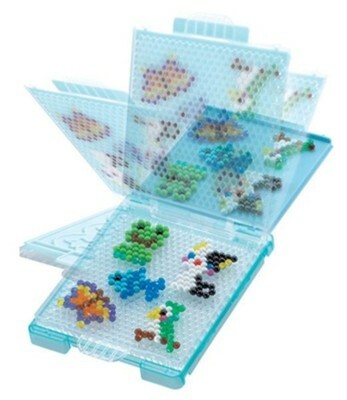 The Aquabeads Flip Tray Set is the perfect accessory set for your Aquabeads crafts. Designed for ages 4 years and older, this set can be used with template sheets and beads. Flip bead designs off tray instantly with both jewel and solid beads. Includes tray. Please note:beads, template sheets, bead pen, and sprayer pen are sold separately. Package measures 6.7"W x 1"D x 7.1"H.
I'm the author/artist and I want to review Aquabeads Flip Tray Set.